The SEC has repeatedly cited rife manipulation and a lack of trade surveillance in rejecting Bitcoin ETF applications. SEC Chairman Jay Clayton spoke at the Consensus Invest Conference late last month, and the digital assets space, as well as many institutional investors, tuned in. Clayton’s most notable statement was that for him and his agency to approve Bitcoin ETFs, they’d need to see key safeguards, the foremost of which are effective market surveillance to monitor and address manipulation and custody solutions. Despite the headlines, this isn’t exactly news. Throughout the year, various firms applied for a Bitcoin ETF approval, and throughout the year, they’ve been rejected with surveillance and manipulation repeatedly cited as a major concern. In the SEC’s rejection of Gemini’s application to sell investors a Bitcoin ETF product, a 90-page document, the word surveillance appears 135 times (often in the context of shared surveillance) and the word manipulation appears 132 times. Trade surveillance, briefly, is a set of tools put in place to monitor trade activity and alert market participants whenever suspicions arise for manipulative or abusive activity. Common forms of manipulation include front-running, spoofing, pump and dump and wash trading. In the absence of effective surveillance, there are concerns that as much as 70 percent of volumes in top crypto exchanges is manipulation-driven. It’s easy to understand why the SEC is reluctant to give its blessing to an ETF under such circumstances. It begs the question: If for months now the SEC has been rejecting ETF applications because of manipulation concerns, why haven’t applicants just instituted surveillance systems? The answer is that some tried and failed. Forward-thinking and responsible exchanges partnered with companies that provide surveillance for traditional markets. They were denied nonetheless. Why? The reality is that the more complex a trading system, the more opportunities exist for manipulation. Traditional trading is very complex as it is. Blockchain and its smart contracts, oracles, and distributed consensus mechanisms offer enormous value, but also add numerous new layers of complexity. And more complexity means more opportunities for manipulation. To accommodate that complexity, the new world of digital, blockchain-based financial markets requires a new class of surveillance infrastructure that’s blockchain-native and tailored for digital assets. The conversation we all need to have is not whether or not surveillance is needed. We need to ask what does effective surveillance for digital assets look like. Reading, processing, and intelligibly presenting blockchain data is simply a different expertise than managing traditional trade data. The connectivity is different, the languages and terminology are different, and the pace is different, to name a few challenges. Unlike traditional markets that open at 9:30 am, close at 4:00 pm, don’t operate on holidays and are subject to time differences, digital assets are traded ceaselessly, across the globe. This has massive implications for surveillance – from the need to process information non-stop, to questions surrounding real time-alerting abilities. This is one of their great promises – the fractionization enabled by blockchain would allow smaller investors access to financial markets and for traditionally illiquid assets to be liquefied. However, it also means that ethereum, as one example, can be traded at fractions as small as 18 decimal points, compared to significantly larger fractions in traditional assets. Various crypto exchanges using traditional surveillance systems describe having to offload data from the traditional surveillance systems they are paying for, assigning analysts to reprocess it, and then re-upload it for manipulation analysis. While traditional assets are standardized and trade in very specific arenas that all use the same – or at least similar – rules and denotations, digital assets are traded globally in many shapes, forms, and environments. Some standardization will likely be introduced as the industry continues to evolve, but blockchain-based trading, created to democratize and increase access, will never be as standardized as traditional assets. This also makes shared surveillance between various actors more challenging. One of the biggest issues troubling compliance officers when it comes to surveillance and manipulation is the challenge of false positives. It’s a major contributor to the cost of compliance in traditional trading, with actual humans often having to analyze reports coming from the surveillance systems to verify that they are actually a concern. Part of the problem derives from the use of legacy rule-based systems. Essentially, those systems are manually programmed to respond when a set of conditions take place. False positives arise, to a large degree, because of the rigidity of rule-based systems. By relying on advanced machine learning models, surveillance systems can offer more nuanced surveillance that constantly hones its rules based on real trade activity. Going off the last point, rule-based surveillance systems are good at responding to known threats. In traditional markets that existed for over a century, this makes sense, as most threats are known. In the constantly evolving blockchain-based trading realm, however, there are plenty of unknown unknowns – what manipulation will look like in two, five, and ten years can be completely different from what we know in traditional trading and even from today’s digital asset trading. A machine learning-powered surveillance system will be able, as its name suggests, to learn as new patterns reveal new manipulation attempts or openings for manipulation, as they form, rather than after they happened. The above list is partial and could go on much longer. The bottom line is simple – digital assets are powered by new cutting-edge technology, and they need infrastructure that’s also cutting edge. Surveillance has been repeatedly cited as the key for a Bitcoin ETF approval and generally, for a sustainable and safe blockchain-based trading ecosystem. To respond to the requirements dictated by Clayton and the SEC, it’s time that we not only use blockchain to reimagine finance but also rethink the infrastructure needed to support the vision of a digital, blockchain-powered economy. 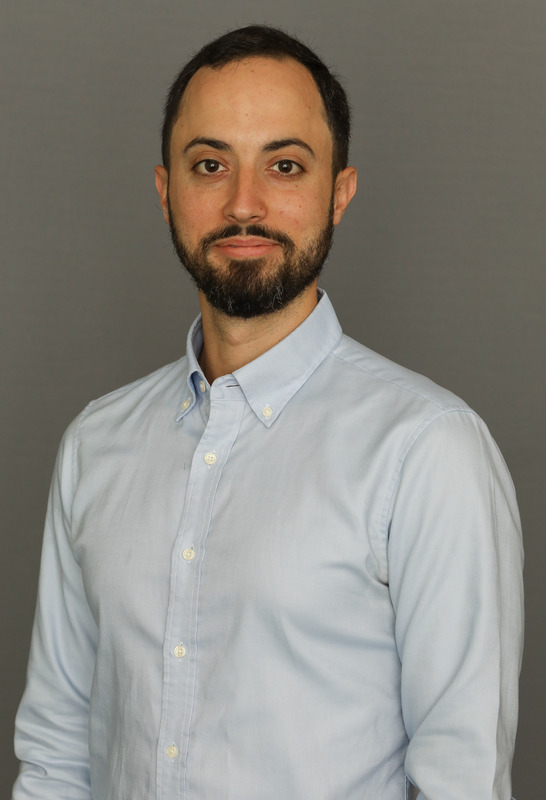 Asaf Meir is the CEO of Solidus Labs – a team of former Goldman Sachs FinTech engineers providing compliance infrastructure solutions for blockchain-based trading.